The Red Wizzrobe is a Mini Boss of the Wind Temple in Wind Waker. It is more powerful than regular Wizzrobes, and can summon other enemies to help in the fight. Tips: A folder of picture and text instructions is included with the download, just view them one after the other in the order of the file name. Beedle has appeared in four Zelda games to date: Wind Waker, Minish Cap, Phantom Hourglass and Spirit Tracks. He is a businessman who owns a shops that sells and sometimes buys back certain items. He uses a membership scheme where you get discounts for being a regular customer. Build from the bottom up. Seal at the bottom of the hair. The template is numbered, so follow the numbers for the building order. Two parts that share the same number can built in either order. Niko is one of Tetra's pirates in The Legend of Zelda: the Wind Waker. He is the lowest-ranking member of the pirates - at least until Link comes along. Tips: Start with the top of the head and build down. Build the arms from the hands up to the shoulders, and then attach to the body. Do the same with the legs, build feet up and attach them once fully built. You may want to put a little glue on the arms to help hold them in the position you want. You will probably need to put some weights in his feet to help him stand up. David Jr. appears in The Legend of Zelda: The Wind Waker, and Minish Cap. He helps Tingle and dresses up like him and his bothers, Ankle and Knuckle, but is not actually related to any of them. Tips: Build from the head down. 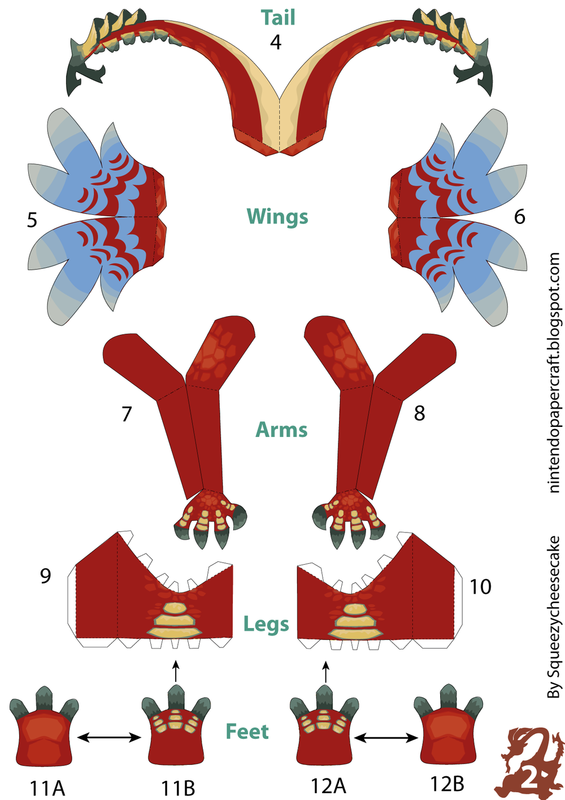 The arms and legs can be tricky, so when you get to them build from the hands or feet upwards, and complete the whole limb before attaching it to the body and carrying on. You will probably need to use weights to help it stand up, and seal it at his bottom. This papercraft is of the rats that appear in the Legend of Zelda: the Wind Waker. These sneaky little critters will attack Link and attempt to steal some of his Rupees, or sell him various items if he scatters All-purpose Bait in front of one of their holes. Tips: The difficulty of this craft is about medium. 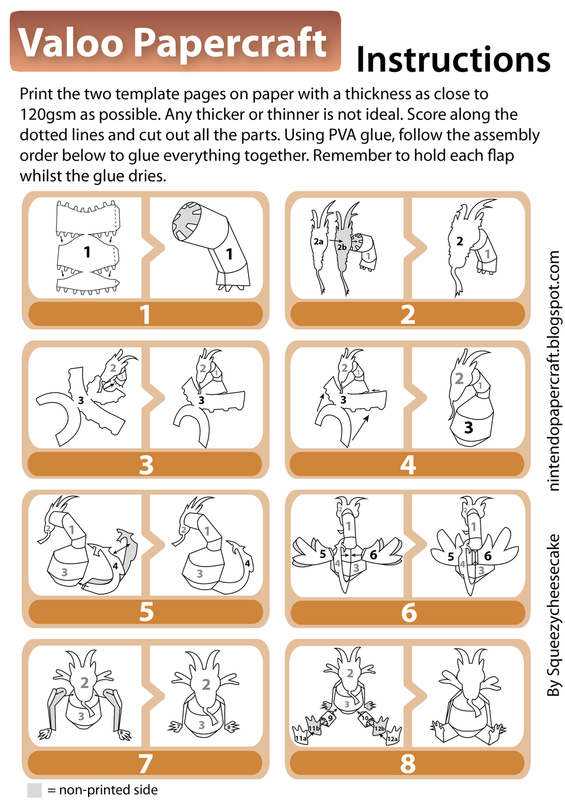 The parts on the template are numbered, so follow that if you need help. Sealing off can be very fiddly, so take your time and use a cocktail stick or something small and thin to get into the gaps. Cut out the eyes from their black background and stick them to head. Bend the tooth in the middle, put some glue along the top and press it to the roof of the mouth. This should be enough to hold it in place. Keese are a common low-level enemy in The Legend of Zelda series, with their first appearance being in the very first game. They resemble bats, and in certain games have fire and ice variations. There are two versions of this craft: a regular Keese and a Fire Keese, both from their appearance in The Legend of Zelda: Wind Waker. Komali is the prince of the Rito tribe from The Legend of Zelda: The Wind Waker. He gives you Din's pearl when you calm Valoo at the top of Dragon Roost Island by defeating the boss that resides in the temple. He is very close friends with Medli, another Rito and a Sage of the Master Sword. When you start your quest in The Legend of Zelda: The Wind Waker, you'll be on Outset Island, home to Link, Aryll, their Grandma and the other residents. This papercraft is of the house that Link lives in on the island. Wizzrobes are a common enemy in The Legend of Zelda series, first appearing in the very first game. 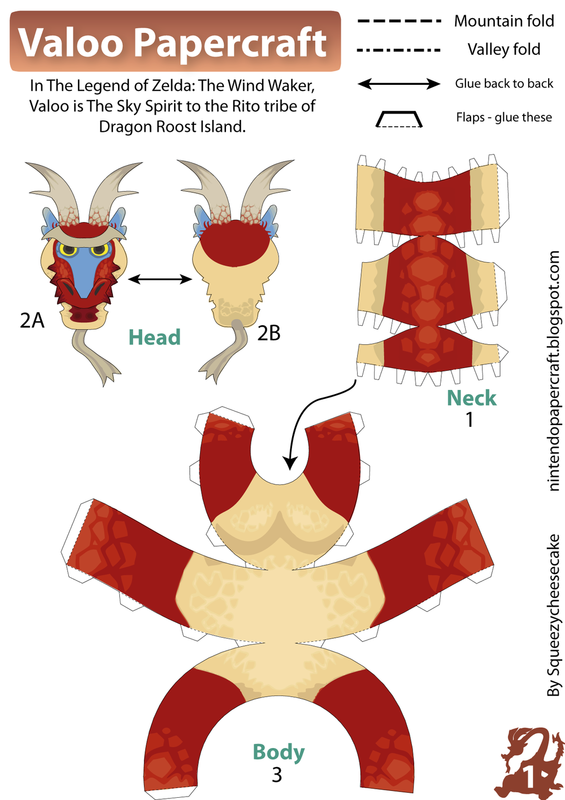 This craft uses a custom 3D model from their appearance in Wind Waker, where they took on a strange, bird-like appearance.